So you want to get into mining with the LOW POWERED 750 TI? If you are here chances are you have already got one or plan on buying some for your mining rig. The cost of electricity is now a major factor in mining and often the number one reason why people stop. As the difficulty in generating altcoins rises then the time and electricity required to create them increases. At some point the cost of power outweigh the benefits in making them. So this is why the Nvidea 750 ti after watching jealously for years as their market share disappeared into ATI's pockets have come up with a deal breaker. For this Build you will require 3 x GTX 750 TI NVidea Cards with twin Fans. By far the best value are the MSI or Gigabyte editions. They are built better for rig work. And twin Fans help in their longevity. This also cuts down on the need for additional Case cooling. This is a no-brainer purchase! Mining with Nvide requires Cudaminer. But the actual settings for Cudaminer are hotly contested. Some reflash their cards and remove the limits so they can be overclocked. I personally see this as just increasing the cost of running them and pointless. This is a marathon not a sprint. Running a 750ti Rig for a year vs a hungry ATI for the same time is not that big of an advantage as ATI beast are really costly to run permanently! I started out with a 3 card rig but ensured there was space for a few more as the hash rate increases then drop in cards at that point. This then keeps it creating the same amount for a long time without you spending a lot up front. After all this is all speculative so may not be worth doing anyway! Also buying 3 x 750ti Cards is a better bet than buying 1 larger card, simply because if one card fails in a 3 card setup you still got two! If one card fails in a one card setup you got nothin'! To begin with you need to create a rig template. This sounds complicated but it is important as your components may differ to mine so you need to check measurements first! 1. Cut some cardboard strips from an old Amazon box and tape them up and check if your stuff will fit! 2. I used floorboards and a dewalt circular saw! As this is really cheap to cut the strips of wood! However a jig saw or a hand saw will work just as well if the cuts are wobbly who cares this is never going to be seen by anyone apart from online when you show your friends ;). But buy 'real wood' not chipboard as it has too many particles (obviously!) 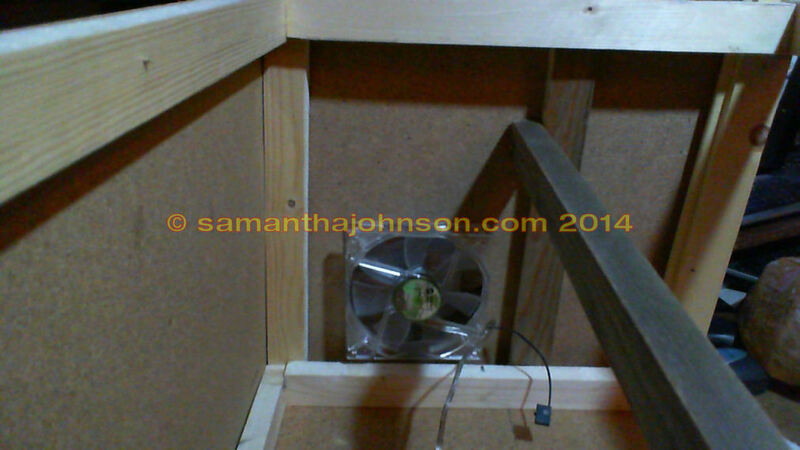 particle board will fall into your moving parts over time. So get your floorboards and rip them down - do not buy pre cut wood it doubles the price! You can get 4 strips out of one floorboard (inc the tongue and groove part. (1 inch x 1 1/2 inch or 3cm x 4cm) the longest lengths are 19 inch / 50cm and from 15 inch / 40cm for the shorter lengths (uprights and cross pieces). You can user a heavier gauge but you won't be able to lift the rig afterwards! LOL. 3cm self-tapping screws - the type used for plaster boarding (UK) / or drywall (USA) are perfect! Use a jig saw and look at this image and start cutting them to length. Once you have you carcass assembled test your card sitting and resting on the crosspiece. 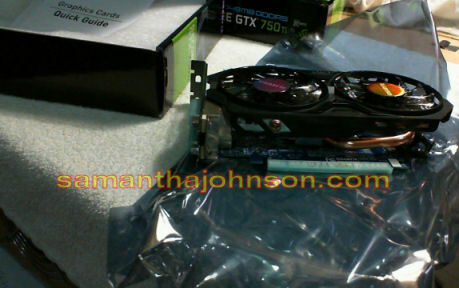 This may need adjustment as 750 ti cards vary in length. The EVGA version for example are very short and stumpy (with only one fan but perfect for space savers or Intel atom machines). Most use the MSI or Gigabyte Windforce (twin Fans) for mining as it has independent power and this takes the strain from the motherboard a little! Plus two fans to keep it cool especially if one fails you at least have insurance against over heating! Plus they have a great copper heat-sink and look incredible for the money! You do not need a fancy motherboard or processor. I just happened to get this on Ebay with 4GB ram and an i5 750 already assembled for a good price preloved - so used that. This is the board I have. http://www.gigabyte.com/products/product-page.aspx?pid=3159#ov What makes this board particularly good is it is cheap and has plenty of PCI-E slots. You need plenty because 5 cards need 5 slots (if you plan on expanding the rig later. Otherwise just get a 3 PCI-E slot. Although this is just for 3 for now. 3. 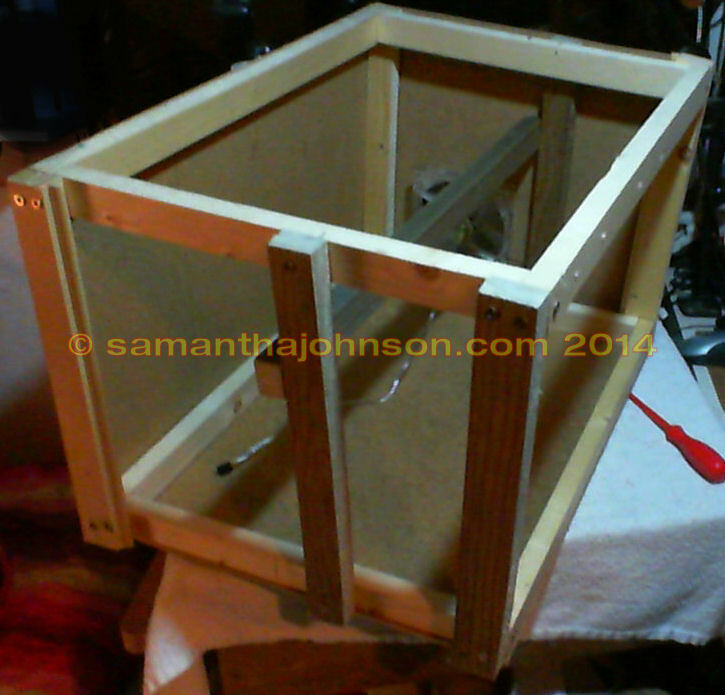 You will need to ventilate the box and clad it in hardboard. Now, most may say that rigs need airflow and should be open - you can do this is you like. However this can be noisy and get dusty really easily just from 'gravity dust falling like cobwebs)! And we are not using ATI card racked-out to the max in some RIG FARM with aircon! This is just a little family project to generate some coins for fun! 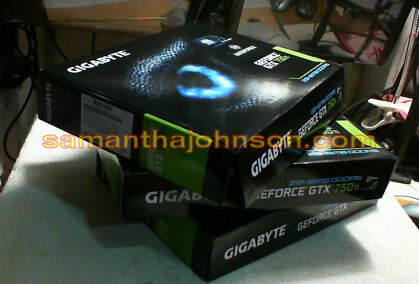 We are using low powered and quiet 750 ti's! ;) So a small fan like this is plenty. You can add a larger fan for summer months (see my big one there stolen from a PC Case as it has two and this one pointed up so never used it as I rest stuff on that PC) and run it on low setting the rest of the time! This saves electricity of course. All those fans are not free either! 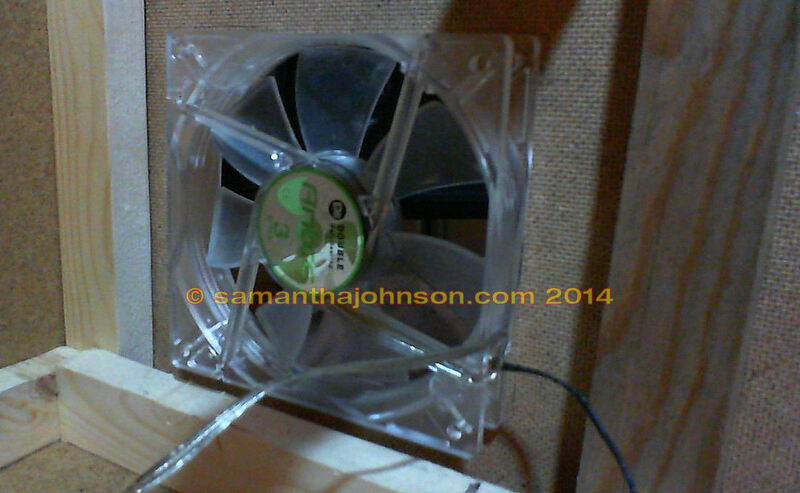 Get fans with 3 power settings and have them on low to begin with - quieter ;) You may not need any of course! Watch the temps before you decide (more on that on the next page). 4. Once you are happy with the card support bar not fouling the PCI-e connection slot you will need to work out the height that the Mother Board needs to be so the most distant card can plug in to each end of the motherboard. The middle cards will always reach if these can. The PCI-E Risers (get powered ones) vary in length so get them in advance. In this design I found mounting cross pieces at 6 inches from the base made the board close enough to reach. But please experiment!